Miller's Storage Buildings is the one true Super Center for custom wood-frame buildings, with the best selection and the lowest prices GUARANTEED! 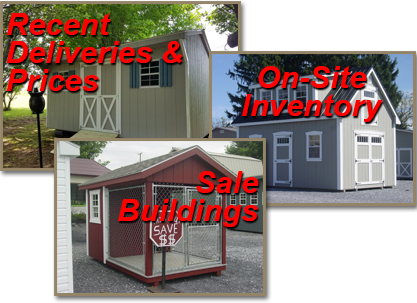 Miller’s Storage Buildings in Fishersville, Virginia is the area’s one true super center for custom wood-frame storage buildings, cabins, attic barns, sheds, gazebos, horse barns, dog runs, garages, and more! Our buildings are all first quality and include such features as pressure treated joists and runners, roofing felt, double 2″ x 4″ top plates and gable ends framed to the roof. We have the best selection around and the lowest prices GUARANTEED!